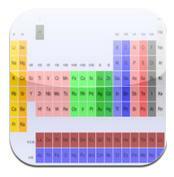 This is a great site to SEE the periodic table in action. 11 FREE iPad apps for Science! Includes, NASA, Molecules, Science 360, Science glossary and more!